↑ The UEFA rankings of October 2015 were used for seeding for the final draw. ↑ "Full Time Summary – France v Romania" (PDF). UEFA.org. Union of European Football Associations. 10 June 2016. Retrieved 10 June 2016. 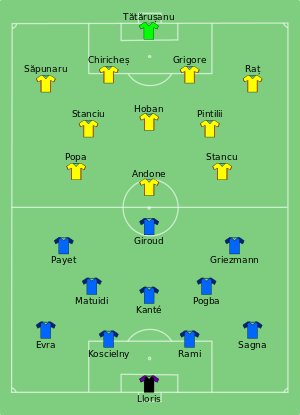 1 2 "Tactical Line-ups – France v Romania" (PDF). UEFA.com. Union of European Football Associations. 10 June 2016. Retrieved 10 June 2016. ↑ Kell, Tom (10 June 2016). "Payet strikes late to hand victory to France". UEFA.com. Union of European Football Associations. Retrieved 10 June 2016. 1 2 3 4 5 6 "Who is the referee? UEFA EURO 2016 appointments". UEFA.com. Union of European Football Associations. 10 June 2016. Retrieved 10 June 2016. 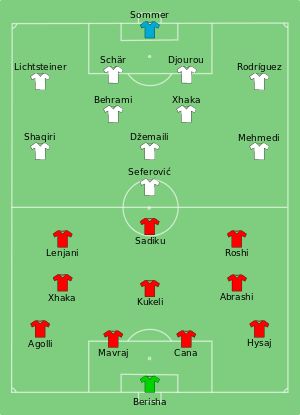 1 2 "Tactical Line-ups – Albania v Switzerland" (PDF). UEFA.com. Union of European Football Associations. 11 June 2016. Retrieved 11 June 2016. ↑ Atkin, John (11 June 2016). "Switzerland hold on against ten-man Albania". UEFA.com. Union of European Football Associations. Retrieved 11 June 2016. ↑ "Full Time Summary – Romania v Switzerland" (PDF). UEFA.org. Union of European Football Associations. 15 June 2016. Retrieved 15 June 2016. 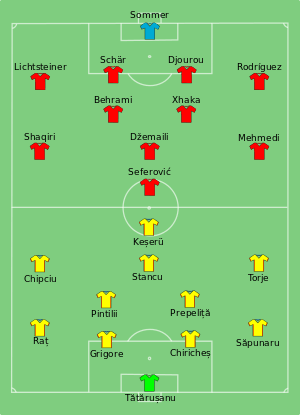 1 2 "Tactical Line-ups – Romania v Switzerland" (PDF). UEFA.com. Union of European Football Associations. 15 June 2016. Retrieved 15 June 2016. ↑ Foulerton, Jim (15 June 2016). "Mehmedi strike earns Swiss valuable point". UEFA.com. Union of European Football Associations. Retrieved 15 June 2016. ↑ "Full Time Summary – France v Albania" (PDF). UEFA.org. Union of European Football Associations. 15 June 2016. Retrieved 15 June 2016. 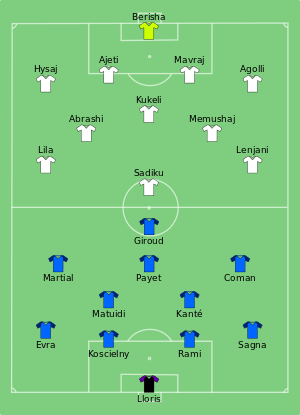 1 2 "Tactical Line-ups – France v Albania" (PDF). UEFA.com. Union of European Football Associations. 15 June 2016. Retrieved 15 June 2016. ↑ Harrison, Wayne (15 June 2016). "Last-gasp France defeat Albania to reach last 16". UEFA.com. Union of European Football Associations. Retrieved 15 June 2016. ↑ "Full Time Summary – Romania v Albania" (PDF). UEFA.org. Union of European Football Associations. 19 June 2016. Retrieved 19 June 2016. 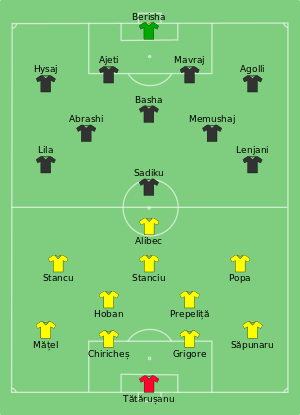 1 2 "Tactical Line-ups – Romania v Albania" (PDF). UEFA.com. Union of European Football Associations. 19 June 2016. Retrieved 19 June 2016. ↑ Burke, Chris (19 June 2016). 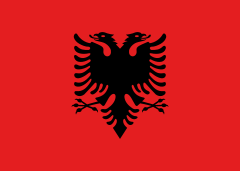 "Albania await their fate after historic victory". UEFA.com. Union of European Football Associations. Retrieved 19 June 2016. 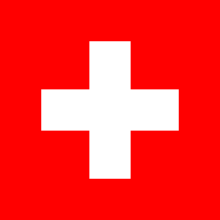 ↑ "Full Time Summary – Switzerland v France" (PDF). UEFA.org. Union of European Football Associations. 19 June 2016. Retrieved 19 June 2016. 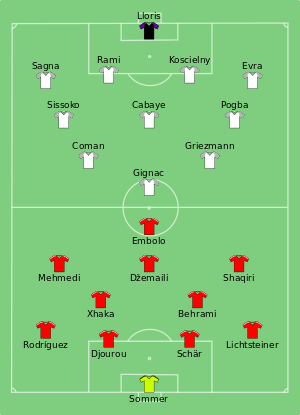 1 2 "Tactical Line-ups – Switzerland v France" (PDF). UEFA.com. Union of European Football Associations. 19 June 2016. Retrieved 19 June 2016. ↑ Haslam, Andrew (19 June 2016). "Stalemate takes Swiss through with France". UEFA.com. Union of European Football Associations. Retrieved 19 June 2016.